Up for ‘Best Loyalty Launch’ are GAA, an Irish sporting and cultural body who play an influential role in Irish society. Customer loyalty has never been an issue for the association as supporting local and county teams, as well as mentoring today’s youth is a passion amongst members. 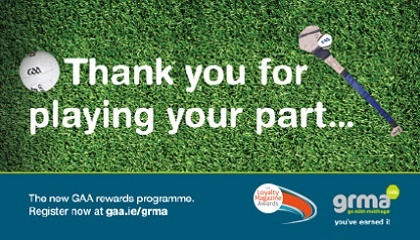 Community is at the heart of the GAA and in 2016, they wanted to show their gratitude to its loyal membership base. That's when, grma was born. grma is an acronym for ‘Go Raibh Malt Agat’, translated into English this phrase simply means ‘thank you’. The grma programme is up against seven other loyalty schemes in the category and competition appears to be tougher than ever. 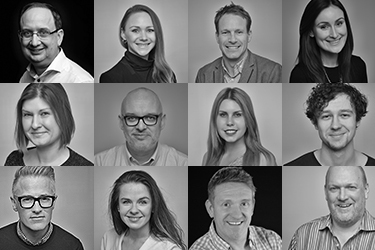 There has been a 40% increase in entries this year alone and the panel of judges, who are highly skilled and experienced in the world of customer loyalty, even admitted that finding weak entries was “challenging”. One judge noted that the shortlisting stage alone was the “toughest” work he had ever done. Another loyalty programme up for "Best Voucher Based Loyalty Programme" and "Best Loyalty Programme of the Year - Non-Food Retail" is Decathlon, another scheme TLC Marketing are running in the Netherlands. The sports retailer revamped their Sportpas scheme to include free sports activities and experiences with every €200 spent. As a result, engagement has increased dramatically as customers could spend half the amount of the previous scheme to recieve a reward of higher value than previously offered. The shortlist was published in this months ‘The Finalists’ edition of Loyalty Magazine. Those not signed up to the publication can find the full shortlist here. TLC Marketing together with the GAA are looking forward to the Gala Awards evening on June 19th at the Pavilion, Tower of London.